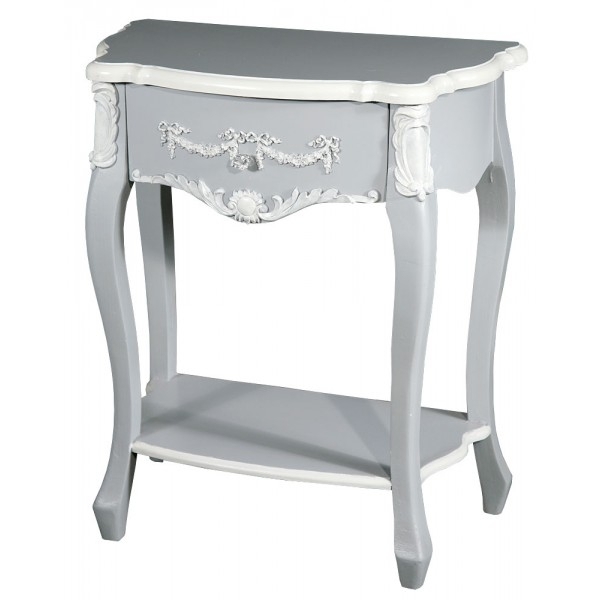 An absolutely charming french grey shabby chic french style bedside cabinet, with raised garland relief, delivered fully assembled. Elegant and simple, and of a very generous size, this cabinet has one drawer, finished with a dainty knob. Hand finished, in semi-matt french grey and white, with hand applied distressing to the relief. w56 x d36 x h76cm.